Devised by Donohoe, Charles Hart and Zeke Blackwell, the show will be produced in collaboration with playwright Zachary Desmond and local artist Pat Kehoe. 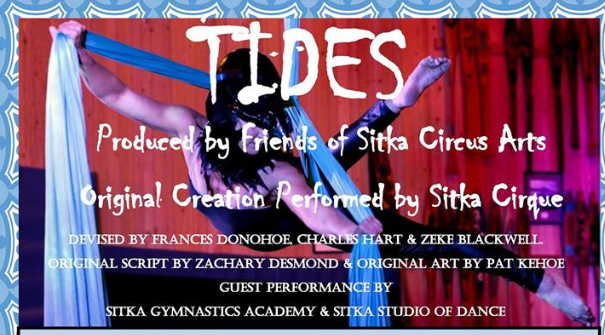 Sitka Cirque presents “Tides” April 14 and 15 at the Sitka Performing Arts Center. Tickets on sale at Sitka Cirque Studio and Old Harbor Books.